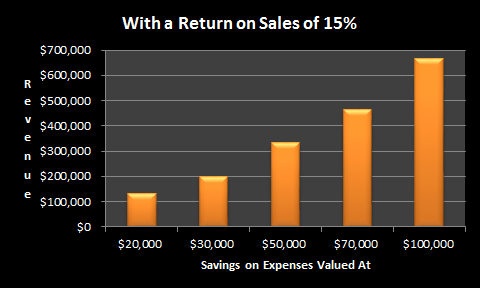 Every dollar saved is worth many times that in revenue. "Every dollar saved is worth many times that in revenue." You are familiar with this old adage, right? 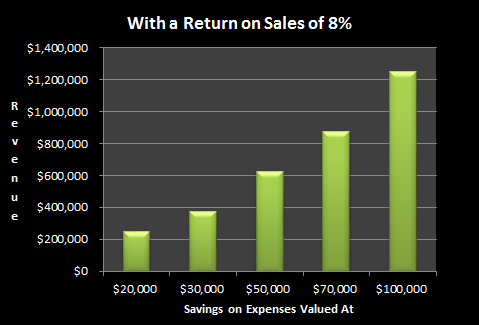 Glance at the charts, and find the closest one to your return on sales of 8%, 15%, or 30%. 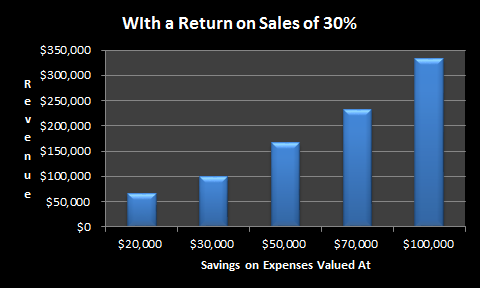 See how much revenue it takes to offset every $20,000, $30,000, $50,000, $70,000 or $100,000 that you can save on your expenses.